When Tara Clarke went to Madagascar this summer, she packed what you might expect for a trip to the tropics: sunscreen, bug spray. But when she returned seven weeks later, her carry-on luggage contained an unusual item: ten pounds of lemur droppings. "That's a lot of poop," Clarke said. A visiting assistant professor of evolutionary anthropology at Duke, Clarke and colleagues are analyzing DNA from lemur feces to pinpoint poaching hotspots in Madagascar's pet lemur trade. Pet lemurs are illegal in Madagascar, the only place on Earth where lemurs—the world's most endangered primates—live in the wild. More than 28,000 lemurs were taken from the wild and kept as pets on the island between 2010 and 2013 alone, surveys suggest. Many pet lemurs are captured as babies, separated from their mothers and sold for less than two dollars apiece to hotels and restaurants to lure tourists, who pay to touch the animals and have their photo taken with them. 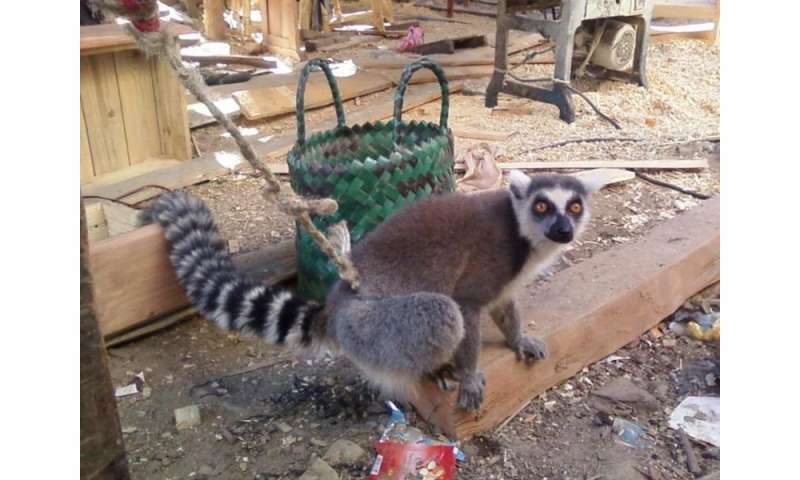 Anyone caught removing lemurs from the forest, selling them, or keeping them without a government permit can be fined and sentenced to up to two years in jail. But the laws are difficult to enforce, especially in remote villages, where rural poverty is common and law enforcement personnel may be few. 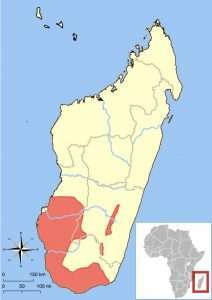 In 2011, Malagasy officials began confiscating pet ring-tailed lemurs, the most popular species in the pet lemur trade, and handing them over to a non-governmental organization in southwestern Madagascar called Renalia, home of the Lemur Rescue Center. About two dozen ring-tailed lemurs are currently being rehabilitated there in the hopes that many of them will one day be reintroduced to the wild. But rounding up all the lemurs held illegally in private hands and taking them in would be nearly impossible, Clarke said. "There just isn't a facility big enough, or the funding or the manpower." If we can figure out where the animals are being taken from the forest, Clarke said, we might be able to target those poaching hotspots and try to prevent them from becoming pets in the first place through education and outreach initiatives. This summer, Clarke and biological anthropologist Marni LaFleur of the University of California, San Diego began collecting baseline samples of ring-tailed lemur poop from national parks and protected areas around southern and southwestern Madagascar, where ring-tailed lemurs live in the wild. They also collected samples from 19 ex-pets at the Lemur Rescue Center. The samples are being shipped to the Primate Molecular Ecology Laboratory at Hunter College in New York for analysis. 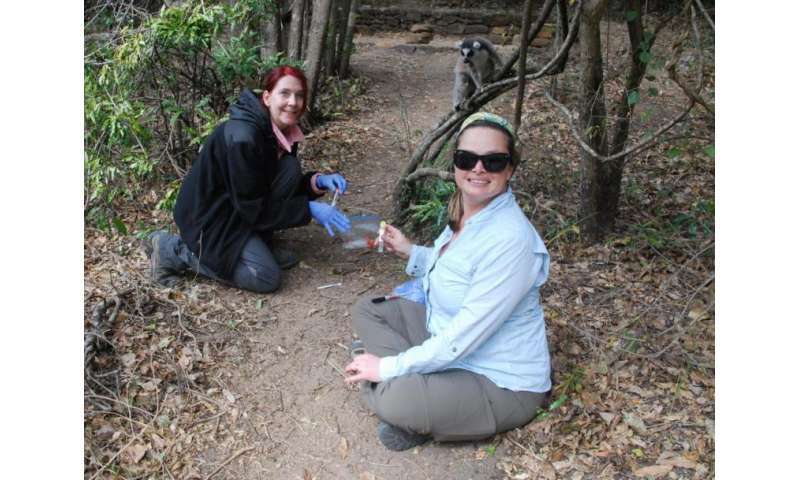 There, with help from lab director Andrea Baden, the team will use DNA extracted from the wild samples to build a map of variation in ring-tailed lemur genes across their range. 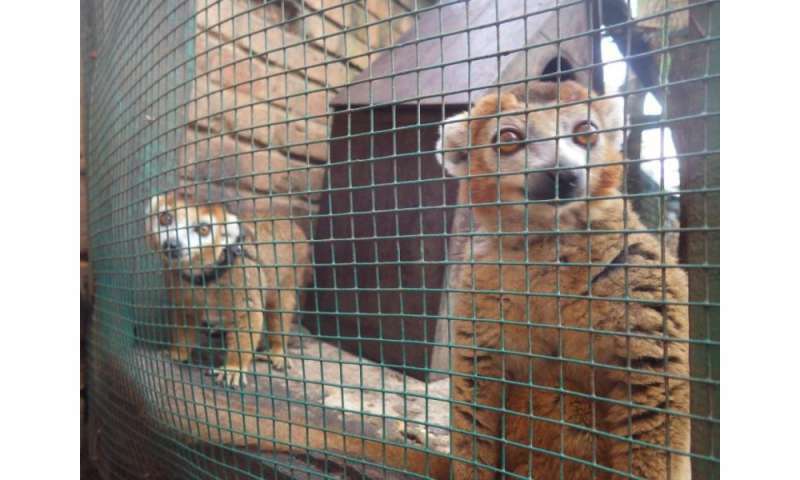 By analyzing the DNA of the ex-pets housed at the Lemur Rescue Center and comparing it with their map, the researchers hope to pinpoint or rule out where the animals were first taken from the wild. In addition to collecting feces, Clarke and LaFleur also worked with local guides to count ring-tailed lemurs in their natural habitat and estimate how many are left. The pet trade isn't the only threat to lemur survival. Over the past 40 years, logging, slash-and-burn agriculture, and charcoal production have reduced forest cover in southwestern Madagascar by nearly half. "Their habitat is disappearing," said Clarke, who has conducted field research in Madagascar since 2004. Their 2016 census suggests that fewer than 2000 ring-tailed lemurs remain in the wild—a significant decline compared with the last census in 2000, when ring-tailed lemurs were estimated based on satellite images to number more than 750,000. In every town the researchers visited they also passed out hundreds of posters about the illegal pet lemur trade as part of a nationwide education campaign called "Madagascar's Treasure: Keeping Lemurs Wild," which aims to raise interest in protecting the few wild populations that remain. Lemur protection programs such as theirs can also benefit other threatened wildlife that share the lemurs' forest habitat, such as the giant-striped mongoose and the radiated tortoise. Keeping lemurs as pets isn't unique to Madagascar. "There are thousands of lemurs in private hands in the U.S. too," said Andrea Katz, curator at the Duke Lemur Center. Every year, the Duke Lemur Center gets phone calls from people in the U.S. looking for answers to questions about their pet lemurs' health or behavioral problems. "In some states it's legal to have a pet lemur," Clarke said. "You can find them online. You can find them in pet stores. A lot of times what happens is they reach sexual maturity and they get aggressive, and that's when people call a zoo or a sanctuary." "Because you can see ring-tailed lemurs in zoos and movies people don't think that they need our help. They don't believe that they're endangered. We're trying to change that view," Clarke said.